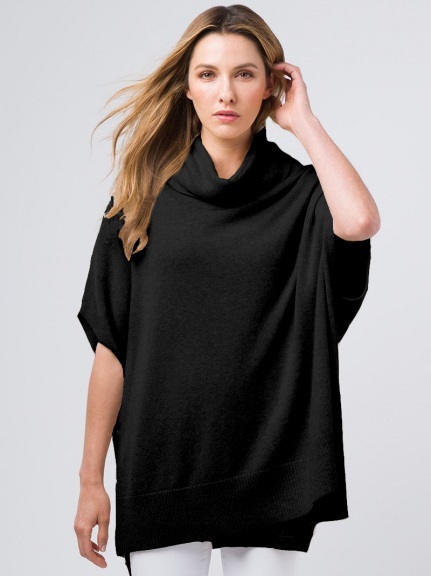 An ultra soft 2-ply cashmere poncho from Kinross features a drapey cowl neck. Oversized shape and dolman sleeves create an elegant silhouette. Beautiful on its own or layered. Warm, yet light for all year wear.